This cozy nook features two double beds in calming tones with private bath (shower stall). This unit has windows overlooking both the front gardens and back patio. This room sleeps two comfortably. A $25 charge is added per additional person, with a max of 4-guest occupancy for this suite. 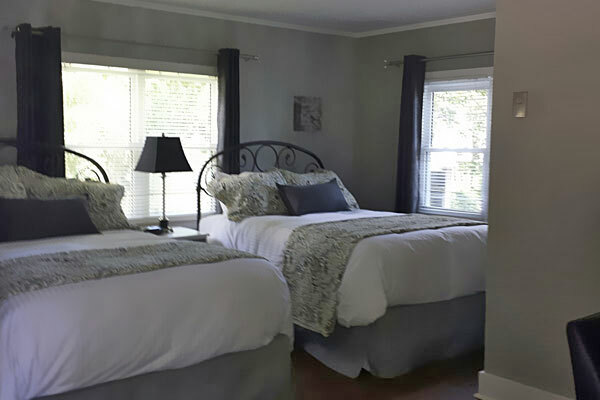 This Suite features two comfortable double beds for double occupancy. This room has a maximum occupancy of 4.